"As a long time business owner in Eugene, I have had the distinct pleasure of working with...ABC Tool and Die for over 14 years. 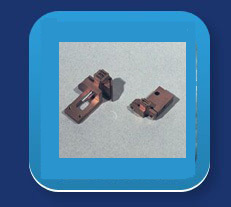 ABC Tool has provided us with support in the areas of CNC machining, as well as fixture and die design and fabrication. Our expectation for quality workmanship and customer service is constantly met and exceeded...I would gladly recommend...ABC Tool and Die as a source for the highest quality machining and manufacturing." "ABC Tool and Die has provided an excellent service to Whittier Wood Products for over thirteen years. Andrew...and other staff members have proven proficient skills at maintaining exacting tolerances and rapid turn around times. The most obvious benefit they have provided (after being turned away by other local shops) is "emergency" repairs. With very little advacne notice, they have always been successful in helping us get back into production, and profitability...ABC has the equipment and knwledge to do things that cannot be done at any other location. We have a fair quantity of sophisticated European CNC wood working equipment. On several occasions the original equipment manufacturer could not provide timely repair or replacement parts. I am pleased to say ABC Tool and Die could...your expectations will be met at ABC Tool and Die." "The team at ABC Tool and Die has provided...CNC machining support, die and fixture fabrication, and manufacturing-processes consultation...over the last 7+ years...each team member at ABC has met our expectations for the level of quality, customer service before and after the project, price and leadtime of work. I would recommend Andrew Sztymelski and the entire staff at ABC Tool and Die to anyone seeking the support of a quality machining and fabrication shop."